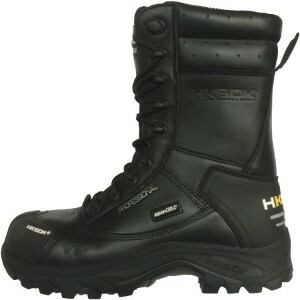 Safety boots from HKSDK provide safety and comfort at the same time. Our boots are tested under extreme weather conditions in Norway and Greenland creating one of the most sturdy winter boots in the world. Our boots are shock absorbing and provide safety and warmth for your feet – Perfect for the harsh, Scandinavian climate. Our models’ toecap are made from thermoplastic alloy (TPA) making them extremely light and flexible. 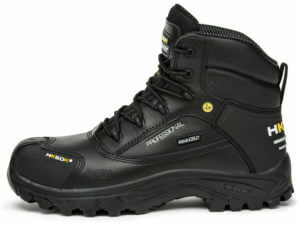 Tech-fiber runs through the rest of the boot providing safety against nails and making them 100 % metal-free. In addition, our safety boots are lined with Thinsulate TM Ultra keeping your feet warm when outside temperatures reach minus 30 degrees Celsius. Our boots are also equipped with the popular Aqua-Cell Membrane, which makes the boots waterproof but still 100 % breathable for your feet. 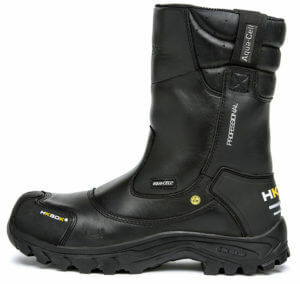 In other words, boots from HKSDK’s are perfect for the Scandinavian climate.